Shazwani Hamid's Blog: The Other Half. Soul Mate. The Right One. I mean...you gotta find someone with not just some great qualities that you will love forever, BUT the bad ones as well, that you can deal with, and like it not just for a day or two..or maybe weeks and months. But for the whole years of your entire life! - And that's the tricky part! Because to fall in love with someone when they're at their best behavior is easy. But to still love someone when they're at their weakest point, is the hardest thing. Anyone can love a perfect and decent-looking person. But not everyone can love an imperfect person, perfectly! So when it comes to finding your soul mate, you don't look for just the good ones in a person. But you pray for someone with good characters, AND also who has flaws that you can and will be able to live with. Because we're humans. No human being is perfect. But everyone wants and desires a healthy, happy, and fulfilling relationship in their lives, right? The desire to be loved and to love is the feelings that we humans have. However, it doesn't appear to be easy. Seeking for that Mr. Right is not an easy journey because that person could also be just a Mr. Right-Now! And there are many relationships that do not seem to work out because of this. Whether it's your fault or the other person's fault, it doesn't matter. It was simply the wrong person who was "right" for us at the time. And then, it'll be a looooong process of heart aches and dramas involved..and later you start questioning...who the heck is right for you then? And how do you find the perfect one laaa??! Well, you don't and you can't, honey. Anyway, I came across a quote about relationships from Galway Kinnell that rings true for me. It states my beliefs about relationship, that it has always been about giving and taking! - We’re all seeking that special person who is right for us. But if you’ve been through enough relationships, you begin to suspect there’s no right person. Just different flavors of wrong. Why is this? Because you yourself are wrong in some way, and you seek out partners who are wrong in some complementary way. But it takes a lot of living to grow fully into your own wrongness. And it isn’t until you finally run up against your deepest demons, your unsolvable problems—the ones that make you truly who you are — that we’re ready to find a lifelong mate. Only then do you finally know what you’re looking for. You’re looking for the wrong person. But not just any wrong person: the right wrong person — someone you lovingly gaze upon and think, “This is the problem I want to have". So finding the rightness and goodness in wrong IS the hardest part! Oh God...my only wish in searching for my other half and my right 'wrong' soul mate, is for You to grant me someone that I can deal with and bear with, in times of difficulties. Someone who I would be willing to support at his most weakest moments in life, and accept all his shortcomings and flaws he may have.....and get the same treatment in return. 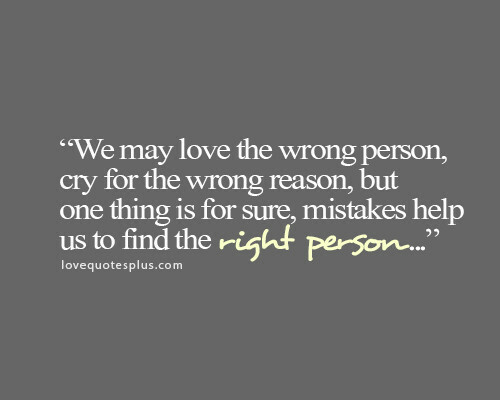 I hope I will find that special person who is wrong for me in just the right way, soon. And when everything is in place, I will let our scars fall in love. 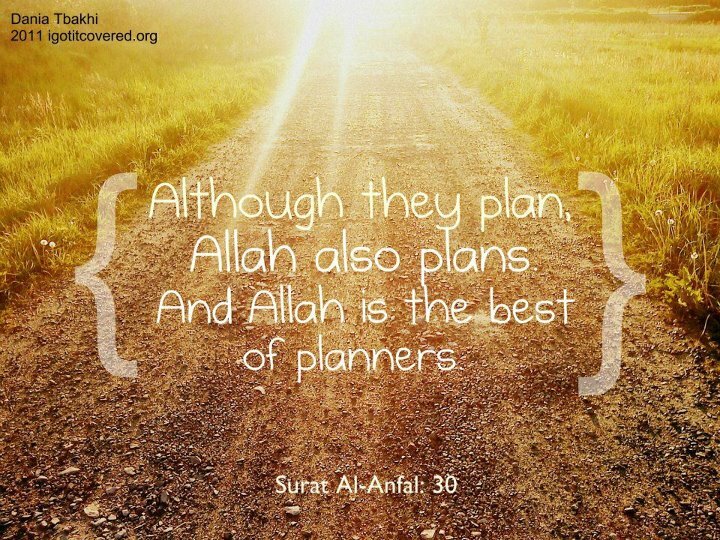 And all I need to do now is to perform and give my very best of me and leave it to Allah, The Best of Planners. If we are meant to be, it will happen. As they said, if something is meant to be, it will find its way, and make it happen. In the right time, with the right person, for the best reason, inshaallah. the time will come when the right one finds you! ;) i mean, ppl will keep asking and everything but the one who'll make the decision is you. you'll get the best cuz that's what Allah prepare for us. it's just the matter of time. all the best! 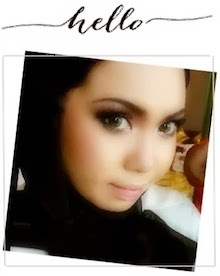 sorry wanie...akak nak tanya..aritu wanie kan dah bertunang...nape?dah break ek? You might be married to the worst man on earth, like Asiah who married Firaun (Pharoah), but it didn’t change her (aqidah). You might be married to the best man on earth, like Nabi Lut’s wife, yet that doesn’t mean you’re going to Jannah with him.